Using a Lightning cable and a 29-watt adapter, an iPhone X can be charged from 0 to 50 percent in about 30 minutes. This worked perfectly in our early hands-on testing. The catch though is that Apple is still bundling a 5-watt adapter, which if used takes as long to charge as ever. For wireless charging the device supports 5-watt Qi pads and docks, but nothing comes included. Indeed Apple is still working on its AirPower charging mat, which won't be available until sometime next year. A future software update from Apple will support 7.5-watt charging. Conceivably the code could be buried in iOS 11.2, which recently went into beta. The iPhone X will officially ship on Friday, Nov. 3. Pre-orders are already spoken for in spite of a $999 pricetag, but it may be possible to find one at an Apple store by camping out several hours ahead of opening. The following wireless charging pads can be ordered now ahead of the iPhone X's arrival. I don't expect a wireless charger in the box or anything but to still just stick in the same 5 watt charger that came with the gen 1 iPhone is really pretty cheapo IMO. How much is it to stick a high watt charger in there. 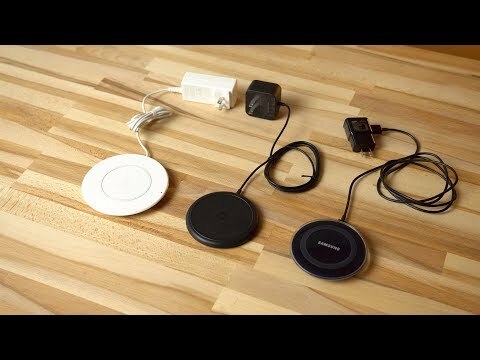 Ikea sells Qi chargers starting at $11.99. At that price, you get a charger that you can embed in a table (which I did). For $20 you get one with a nice wood enclosure (or maybe wood-like). Works well with my iPhone8. I sort of like the one in the nightstand lamp. Clever. aliexpress... £1.52 delivered. Works on an iPhone 8 perfectly. Bought a few more to integrate into things; cut into furniture, mount under dash panel etc - need to experiment with how they fair with differing thicknesses of material between the charger and phone though. I was told at the Apple Store today that if I buy the 29 W adapter that they do not recommend using it on my iPad Mini, which takes forever to charge with the 5W one . They seem to think I could go up to the 12 W with no problem, but I don’t want to have different watt adapters all over the house. Is this true?